This apartment in the complex Drilasol, Playa de La Arena has one bedroom and one bathroom. It has an open plan kitchen that overlooks the living room which also has a pull-out sofa bed. Although the terrace is covered, the sun still shines through and offers views of La Gomera and the ocean. 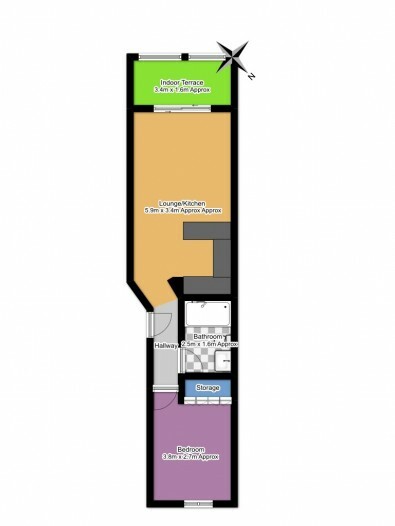 This property is sold fully furnished and included in the price is a private parking space. We recommend viewings on this apartment as it is located in a quiet area, yet a short walk to the Playa de La Arena beach, restaurants and all local amenities.